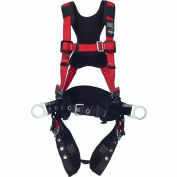 3M™ Protecta® Construction-Style Positioning Harness with a fixed D-ring to minimize workday readjustment, and breathable Shoulder/Hip Padding. 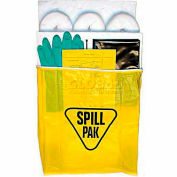 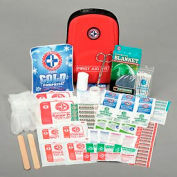 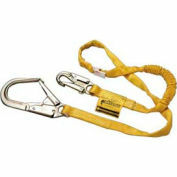 Plus, a durable and sturdy belt, Tongue-Buckle Leg Connection, Pass-Through Chest Connection, and Back and Side D-rings. 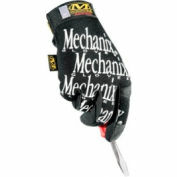 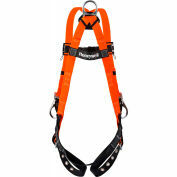 Specially designed for added comfort and convenience, these harnesses are rated for 420 lbs (190 kg) total working weight. 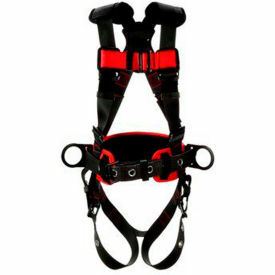 Hardware features include Tongue-Buckle Leg Connection, Pass-Thru Chest Connection, Parachute Torso Buckle, a Back D-ring, Side D-rings. 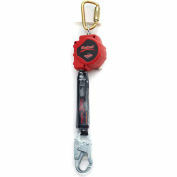 The Back D-ring provides a general fall arrest device connection point and is included on all models of 3M™ Protecta® Construction-Style Positioning Harnesses. 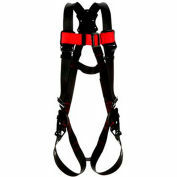 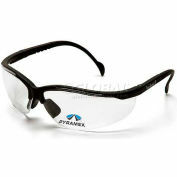 Side D-rings located on hips are used for attachment of positioning devices to allow workers use of both hands. 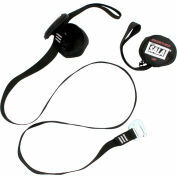 Durable and sturdy belt for tool bag-carrying convenience.